It was a very cold start on Sunday for the 11km Sutherland2Surf and the rain was threatening to dampen our spirits as Megs and I took our position near the Start line. Two years ago I ran it in 1 hour 3 mins, and last year I ran it with one of my PT client in 1 hour 20 mins, it had been her first race ever and she ran the whole way with a big grin on her face. I was so proud of her when we crossed the finish line last year, and I was even happier she was also back this year to give it another try and run by herself. I was aiming to get under the 1 hour mark and after pushing myself much harder than I probably should have (as I have a marathon next weekend) I crossed the finish line in about 55 minutes. I forgot to stop my Garmin and results aren’t up yet so will have to let you know the official time when I get it (and update this post). The race was most enjoyable once I warmed up and got my comfortable in my rhythm. And it was great to see so many people taking on the challenge. My client also got a new PB by 3 minutes, what a legend – go Tishy!! 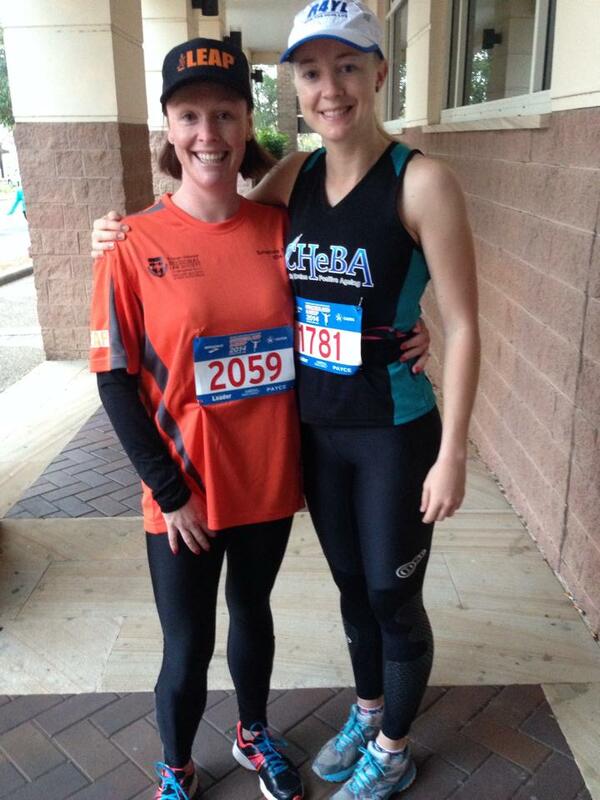 This entry was posted in Race Days and tagged #running, centrefrehealthybrainageing, cheba, cronulla, run, shire, sutherland, sutherland2surf, sutho2surf, unsw by laurenhailey. Bookmark the permalink.